I love practical gifts and when you can combine practical gift giving with the gift of inspiring education that’s even better! My kids love to read and I love to encourage that. Another thing that I love about giving them these types of gifts is that they seem to be items that they will use all year long. Young readers turn into lifetime readers, and that is such a wonderful thing to nourish. 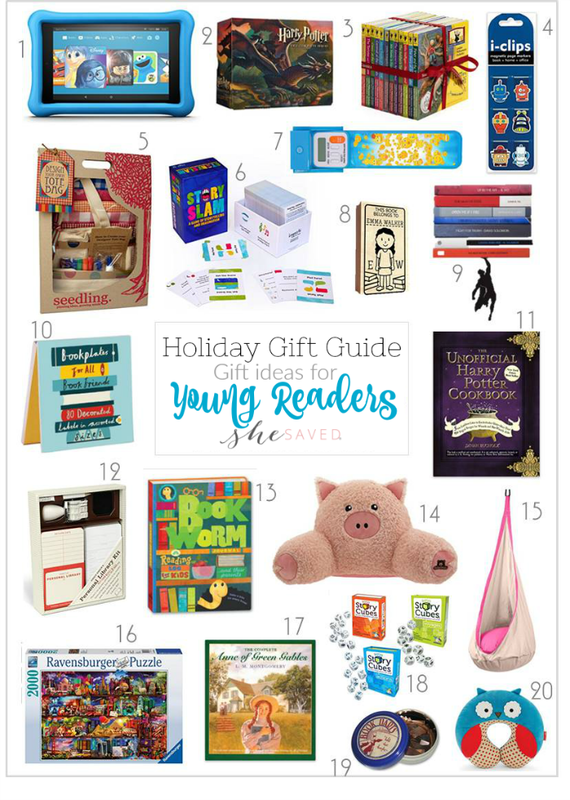 If you have adults on our list who are still avid readers then make sure to check out my Gift Guide for Book Lovers and you might even find some gifts on that list that would work for young readers as well! Also, make sure to check out my gift ideas for TEEN GIRLS and my gift ideas for TEEN BOYS. And for those caffeine fans, don’t forget to check out my top gift ideas for the Coffee Lovers!